boat.ag - Your new portal for the sale of yachts, boats, trailers, mooring and boat accessories. Our goal is to provide you with the perfect tools for the most efficient running of your business. Time is money and we want to save your time. boat.ag is a young innovative company who sets their standards of quality at the highest level. We have full confidence in our product and we offer you the chance to be convinced too. We have implemented a number of useful ideas to help make the daily running of your business so simple, yet so effective ! Solely for Commercial use! Each application is examined by us for guaranteed professional competition ! XML export your listings to other marketplaces in the OpenMarine Format ! You can create an Expose or Sign post for each of your ads in different languages ! Create a highly designed print ready PDF catalogue, in a number of languages, in just a few Steps ! Clear and simple management of your customer administration ! Private Messaging system, in order to shorten the response time to customer requests ! 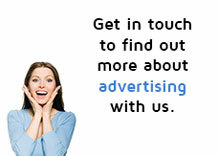 Novel search engine so that your offers can be perfectly found by prospective customers ! 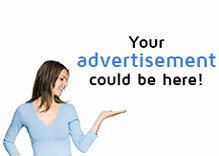 Upload an unlimited number of ads and photos ! Dealer presentation with your own logo and microsite ! Possibility of top placement on the home page and in the search engine ! In addition many other very useful tools are at your disposal ! TRY US NOW FOR A FREE 1 MONTH TRIAL WITHOUT RISK AND COMMITMENT ! If you decide not to continue with our product, your data will be deleted after the test phase. You decide whether to continue with our product or not.